The connotation of the word “mixtape” has changed. During Hip Hop’s Golden Era, a mixtape was put out by a deejay, and it featured various artists, scratches, shout outs…the works. Now, a mixtape could simply be an album sometimes released for free by an artist to avoid paying for sample clearances and guest features. The Piece Maker Vol. 3: Return of the 50 MCs takes it back to when mixtapes were real mixtapes. One more feature of the new Tony Touch mixtape — he recorded the collaboration with Eminem! Marshall’s back! Yes, he’s here. In the beginning of June we had a chance to speak with Tony and to interview him. Also Tony Touch has sent us the snippets from the new album — you can listen to them on our site. Thank you so much for agreeing to give us an interview. A couple words should be said about our crew. We are a creative team from Russia. 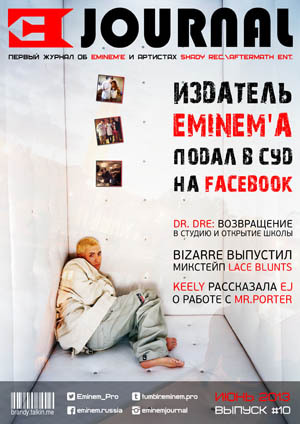 We are publishing the EJ magazine, giving russian-speaking Internet users an opportunity to get to know more about the most interesting news of the music industry and Shady records artists. Man, you have really made a stir with your upcoming and much anticipated album. I accidentally came across your twitt about pre-ordering the PieceMaker 3… Return of the 50 MCs album. I was pleased to find out that once the order is processed you can instantly download A Queen’s Thing and Unorthodox singles in FLAC format. It’s a bummer there was no Symphony in H track. Hopefully, my copy of the album will arrive without a delay. Russian postal system has been having some serious troubles throughout the past one or two hundred years. Igor Basenko: Tony, could you please tell us more about yourself. Where did you grow up? How did you decide to become a musician? DJ Tony Touch: I grew up in Brooklyn, New York. I began as a b-boy (breakdancer) then developed into djing and producing. Igor Basenko: What kind of music do you personally listen to? DJ Tony Touch: I personally listen to a lot of old school soul and funk music. 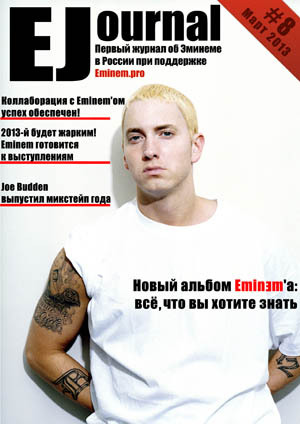 Igor Basenko: You are working on Shade45. Could you tell us what it’s like to work there? What kind of people are you working with? Is it always enjoyable and smooth? DJ Tony Touch: I have been at Shade 45 for over 8 years and it is a great experience. I work with all professional people and yes, we keep it smooth. Igor Basenko: Throughout your long musical career you got to work with many legendary artists. Is there anybody who you haven’t worked with yet, but would definitely love to? DJ Tony Touch: I have yet to work with Rakim. Igor Basenko: On the PieceMaker 3 album you have gathered a lot of interesting artists and eminent stars. How did you manage it? Considering that the schedule of prominent artists is always so tight I bet it wasn’t an easy task. DJ Tony Touch: I have been producing mixtapes for many years and have been djing clubs for many years and have great relationships with many artists and management etc. Igor Basenko: Is there anything particularly interesting about making this album? Any interesting facts or unpredictable difficulties along the way? DJ Tony Touch: The only thing is this is the longest it took me to record this album..almost 2 years…I usually finish in 3 to 6 months. Igor Basenko: Every album and every song have its own story. What’s PieceMaker 3 album’s story? What do you want to convey to your fans? DJ Tony Touch: With this album I want to remind fans that REAL HIP HOP is here to stay. 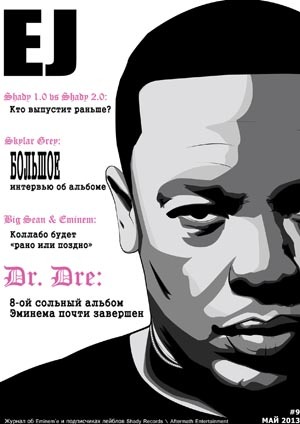 Igor Basenko: Who created the album cover? DJ Tony Touch: The artist name is BROWN 173.. He is from San Diego, California. Igor Basenko: Which of the songs on the album do you consider to be the most important? DJ Tony Touch: All the songs are important… It’s like one big puzzle. Igor Basenko: On the Slaughter Session track you got to work with only three quarters of the group. Why is Joe missing? DJ Tony Touch: I guess he was too busy. Igor Basenko: How would you characterize your relationship with the members of Slaughterhouse? Did you work with anyone of them previously? DJ Tony Touch: I have worked a lot with Royce the 5’9 on the past 50 mcs and Piecemaker 1 album.. I also have worked with Joell Ortiz. 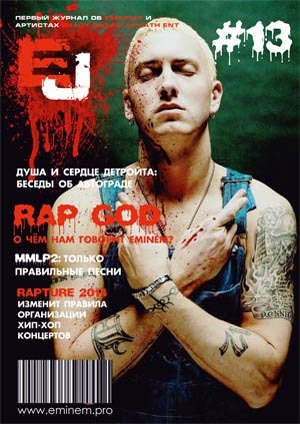 Igor Basenko: You also did a song with Eminem. How did you get to work with him after his considerable hide-out so to say? DJ Tony Touch: Eminem was on the 50 MCs part 3 and the Piecemaker 1.. He has always supported all of my projects. 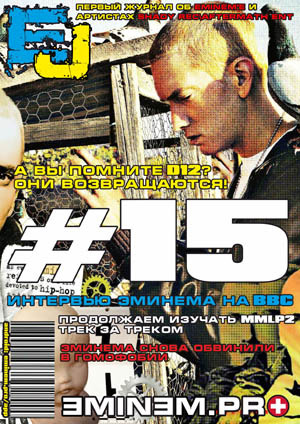 Igor Basenko: Eminem was also featured on Piece Maker 1. How long have you known each other? Do you mix with him much? Where did you get acquainted? Has be changed much since your first meeting? DJ Tony Touch: I have dj’d for Em on some occasions incluiding TV shows like Saturday Night Live and Dave Chapelle. Igor Basenko: Are you planning to work with him again? DJ Tony Touch: Of course.. I still work for his radio station every Tuesday. Igor Basenko: Your album comes out on the 9th of July. How is it going to be released? What is the presentation going to be like? Have you already planned a tour in support of the album? DJ Tony Touch: The record is being distributed by SONY worldwide. Igor Basenko: Music industry has changed much. Digital sales are starting to replace regular CD’s. Your album is coming out on a CD and as an LP record. Is the LP version made for pre-order only? DJ Tony Touch: Yes, this album will be available on all formats. Igor Basenko: Are you planning to release and extended version of the album with bonus tracks? DJ Tony Touch: No, but I will be releasing an album called TONY TOUCH unreleased songs. Igor Basenko: What inspires you to work on new music? Where do you normally write new songs? 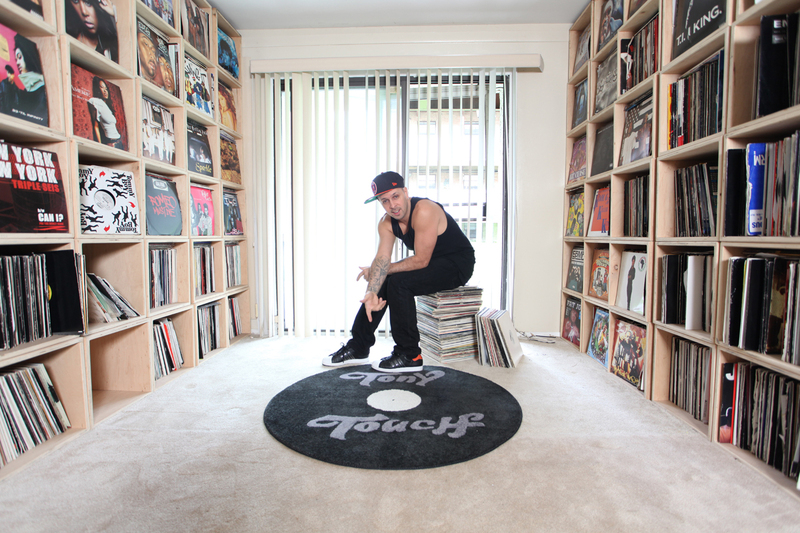 DJ Tony Touch: I get inspired by so many different things…I normally write in my car and in the studio. Igor Basenko: Describe the atmosphere while recording the PieceMaker 3 album. Did you all gather in the studio? How informal was it? Or were you concentrated on the working process solely? DJ Tony Touch: Much of this new album was recorded thru e-mails and people sending me sessions. Igor Basenko: What are you planning to do next? Working on any other projects? Should we be expecting PieceMaker 4 someday? DJ Tony Touch: Next I will be producing some Latin albums and a deep soulful house project called FUNKBOX NYC which is a party I produce here in NYC on SUnday nights. Piecemaker Vol. 3: Return of the 50 MCs is a mixtape in its truest form. It showcases the best collaboration results of 50 musicians. You can buy the new Tony Touch’s masterpiece «Piecemaker Vol. 3: Return of the 50 MCs» here. If you want to buy the album on CDs or LPs, you can download the digital-version of album right after the purchase (in all formats including FLAC and ALAC). You can order CD or LP «Piecemaker Vol. 3: Return of the 50 MCs» right here — or buy Tony’s album on iTunes. 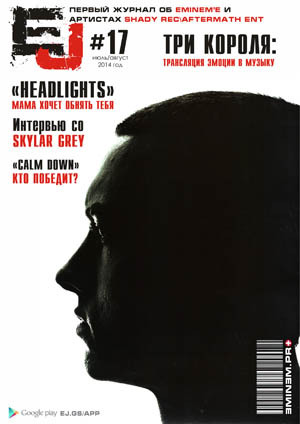 Interview is edited by: Igor Basenko, ALexander Mitnikov, Katerina Glazkova, Ekaterina Musoreva.